After blathering about it incessantly, Trena and I are finally leaving today for our bicycle trip to the Netherlands. There isn’t internet on board the barge so I’m not bringing my netbook. So, no blogging while I’m gone. You’ll just have to suffer a barage of posts of my nattering on about the daily minutiae of biking through the Netherlands when I get back. I’m packing two skirts, four tops and traveling in jeans. Between that, my rain gear, my beauty products and other technology — I’ve got a packed suitcase. In addition, there are some things I’ve ordered online that I’m picking up in the Netherlands. This does not compare favorably with my disciplined bestie. LOL. I’m hearing reports of beautiful weather and just three days of scattered showers. I do plan to meet up with some Euroean bloggers and am plotting to clean out Kantje Boord while in Amsterdam. Oh, and track down some new-to-me notions recommended by Els. Hopefully, my consumption of cheese and Belgian frites will be balanced by pedaling 30 miles a day. Previous Post Pippa’s Dress — Already! Next Post Wash. Rinse. Repeat. Sounds like a wonderful trip. I’m trusting you’ll be testing the Belgian ales for us too! 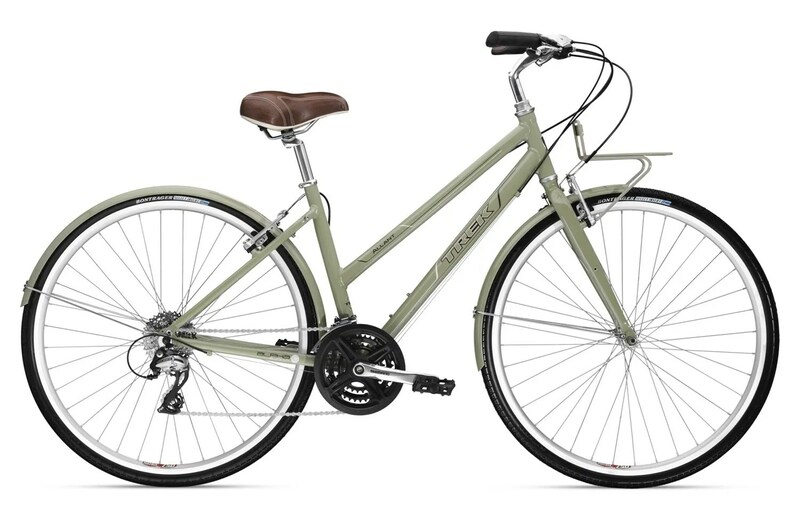 Nice looking bicycle…you are reminding me that I need to get one. Hey, are you still liking nail polish? Have fun and be safe! Can’t wait to see pictures! Your trip sounds so awesome. Looking forward to all the deets later on. Bon voyage! The Netherlands is beautiful and FLAT–my perfect choice for biking. I hope you two have a wonderful experience! Well you definitely left space in your “suitcase” for Fabric! Have a great trip and a wonderful time! Are you bringing your bikable rain coat?! Beautiful bicycle! Have a wonderful time! (Longtime lurker here): Have a great trip! My family hails from Fryslan (province in the NL’s north) and I just love the whole country. And those patat are to die for. I can’t get enough of the fries there. Enjoy and I look forward to your posts when you return. Have a FABULOUS time. I can’t wait to hear all about it. It must feel good to finally be on your way. Have a great trip! Have a great time – can’t wait to read about your cycling adventures & newly acquired notions :)! You sound positively underpacked compared to your companion! Have a great trip!! OMG, I can’t believe you sold your pink bicycle! Your trip sounds just delightful and I know you’ll have a delightful time. I’m heading to Amsterdam on business next month, so will be most interested to hear your reviews of that city! Have a great trip, and here’s another vote for helmets for the two of you (left this on Trena’s blog, too) . . . Mr. Noile has scars on his face and arms from a slow-speed bike crash many years ago. Happily, his brain was unaffected. Don’t go risking yours! I hope you are having a blast… I cant wait to read all about your journey!